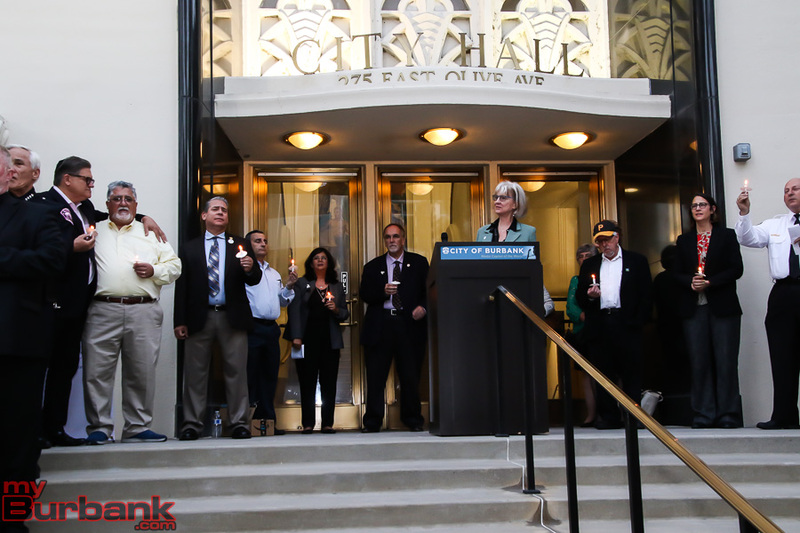 Following Saturday’s massacre in Pittsburgh at The Tree of Life Synagogue, Burbank’s Mayor Emily Gabel-Luddy joined forces with the Burbank Human Relations Council and several local clergy to host a prayer vigil on the steps of Burbank City Hall on Tuesday, October 30. 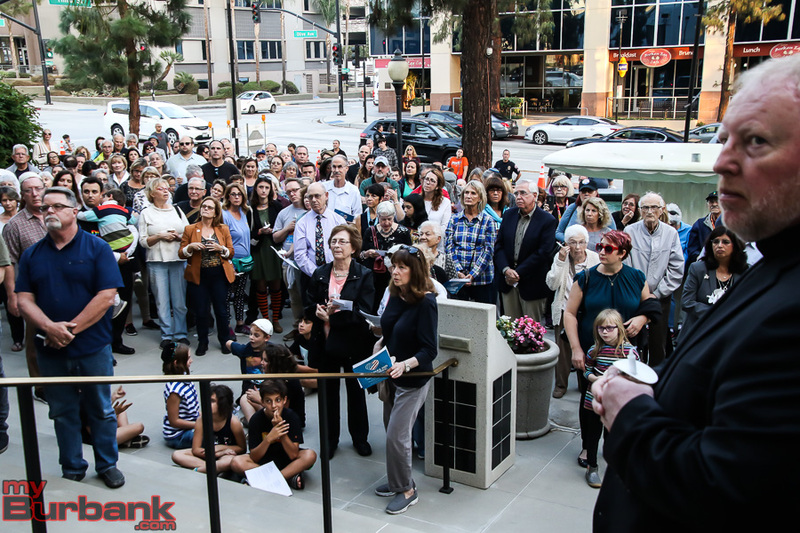 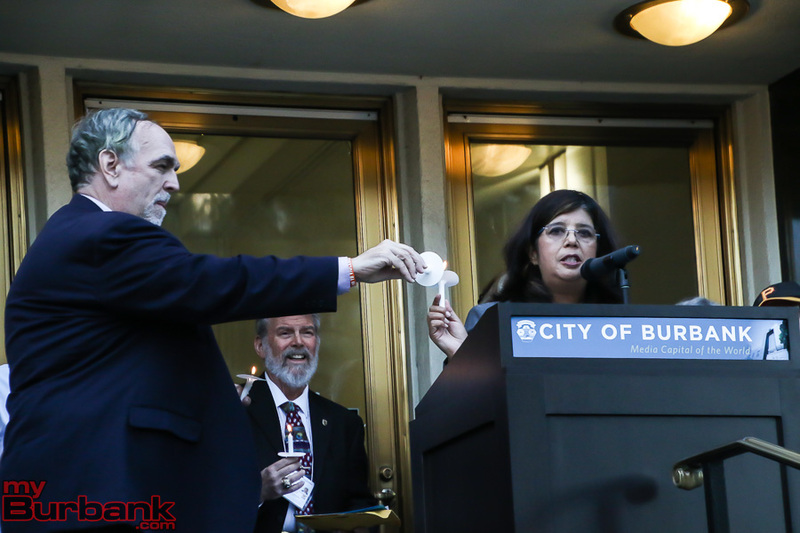 Gabel-Luddy, along with Marsha Ramos and Mike Chapman of the Burbank Human Relations Council, opened the event at 5:00 p.m. 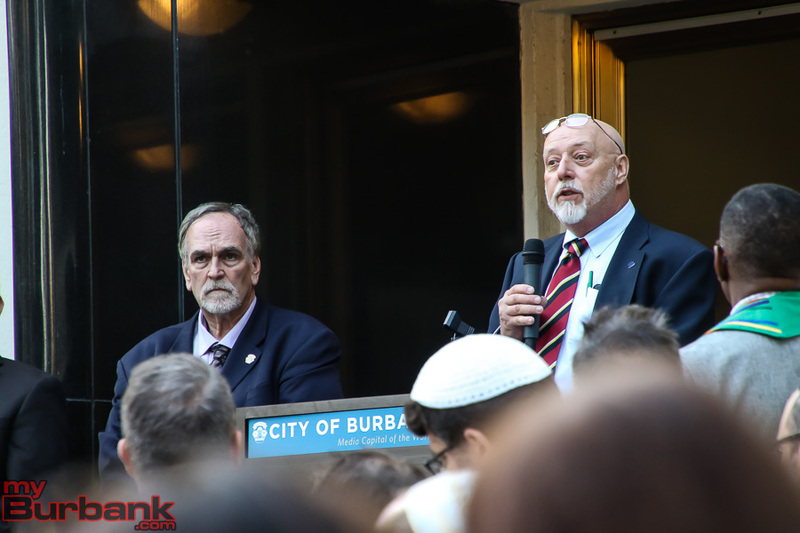 They introduced Burbank Police Chaplain Rabbi Mark H. Sobel of Temple Beth Emet, who offered a welcome and prayers for the community. 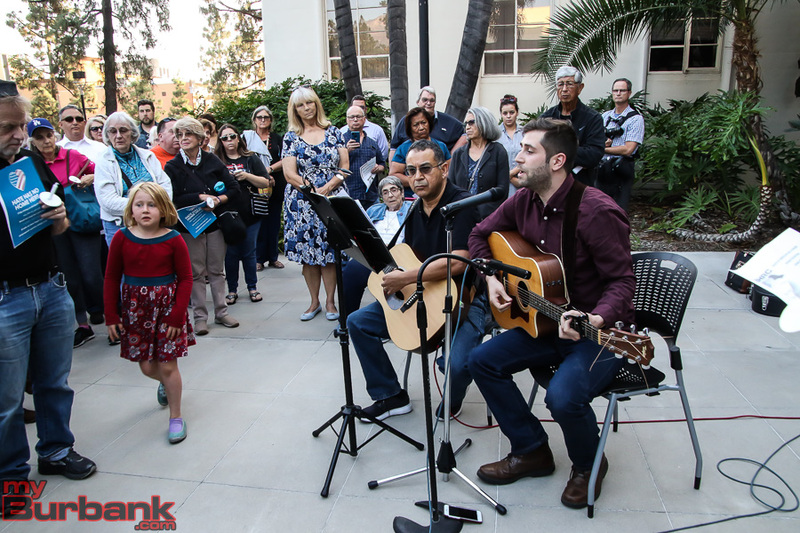 A few inspirational songs were performed for the crowd. 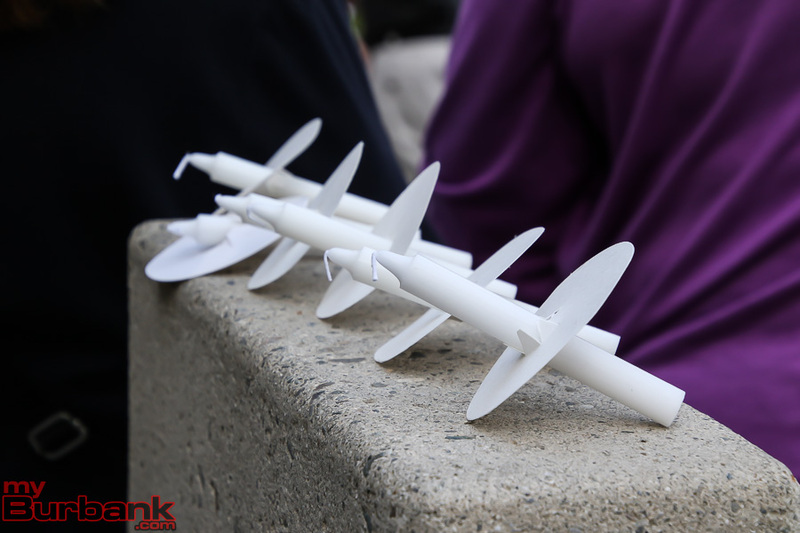 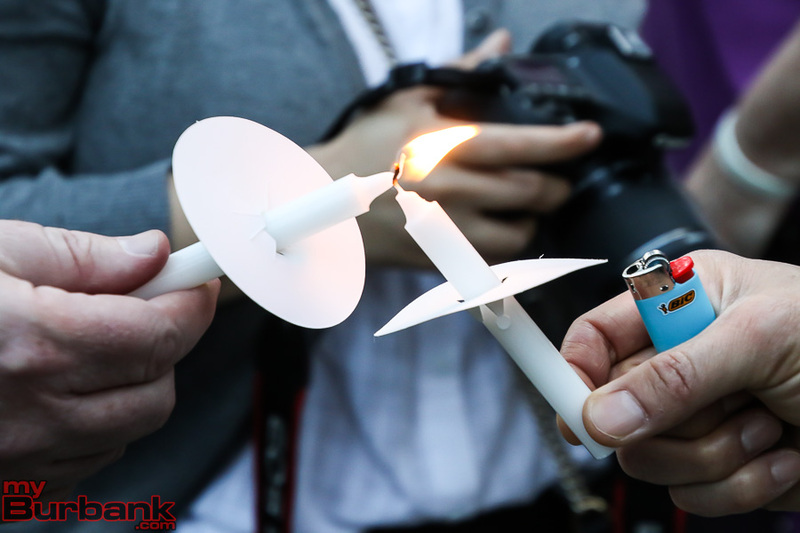 Everyone in attendance were given candles to be lit at the conclusion of the event. 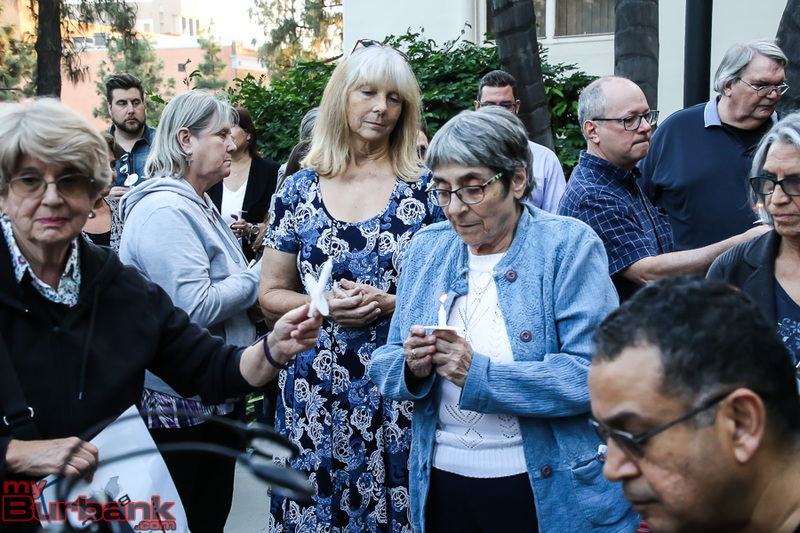 Rabbi Richard Flom and his wife Lynn Kronzec read the names of the departed from the Pittsburgh massacre. 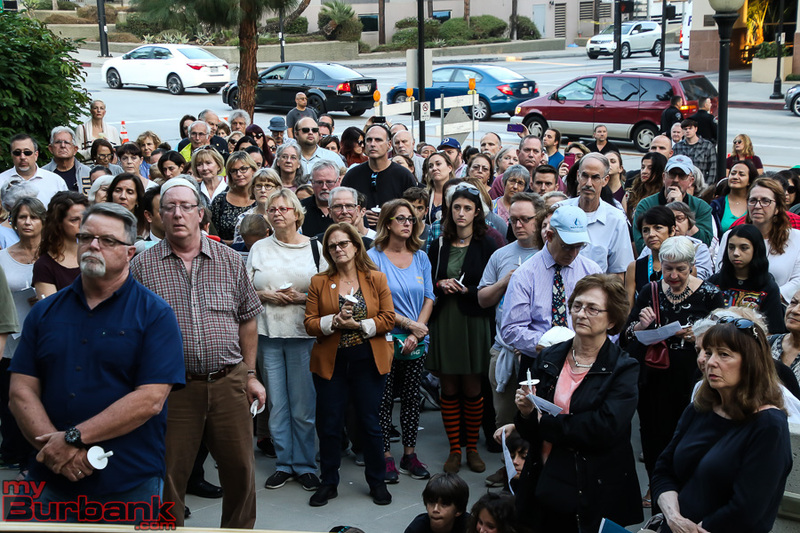 They are also former members of the Tree of Life Synagogue. 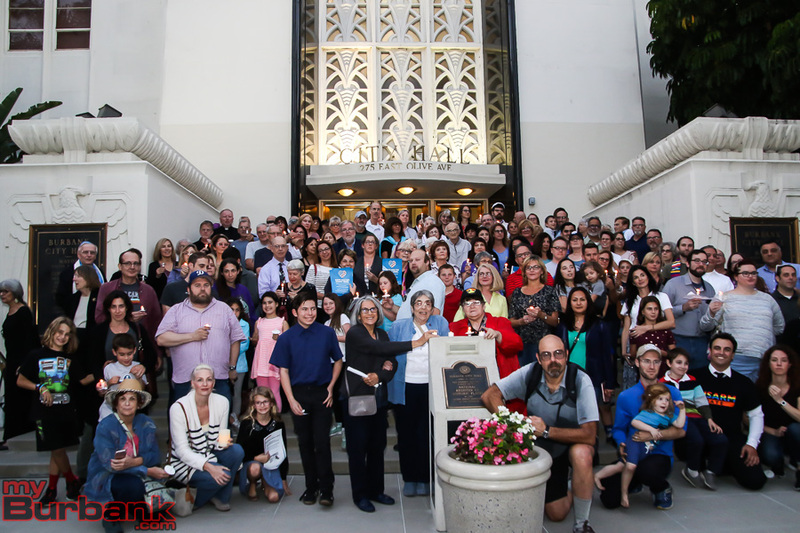 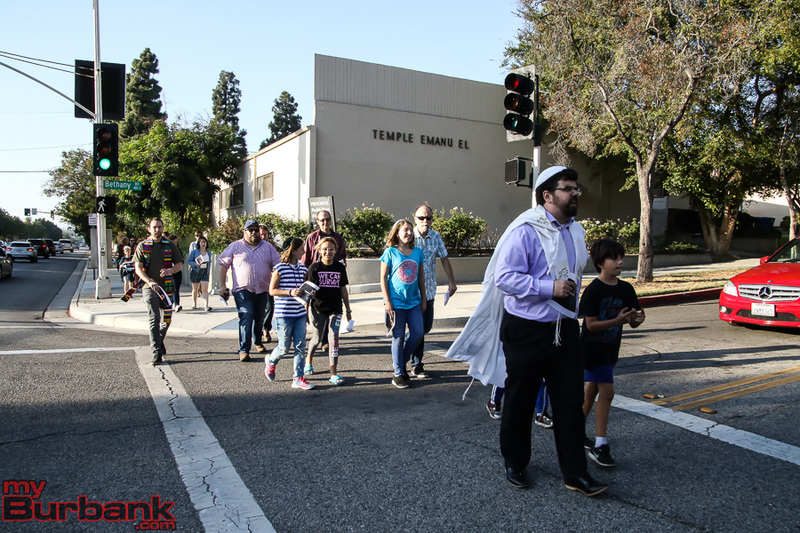 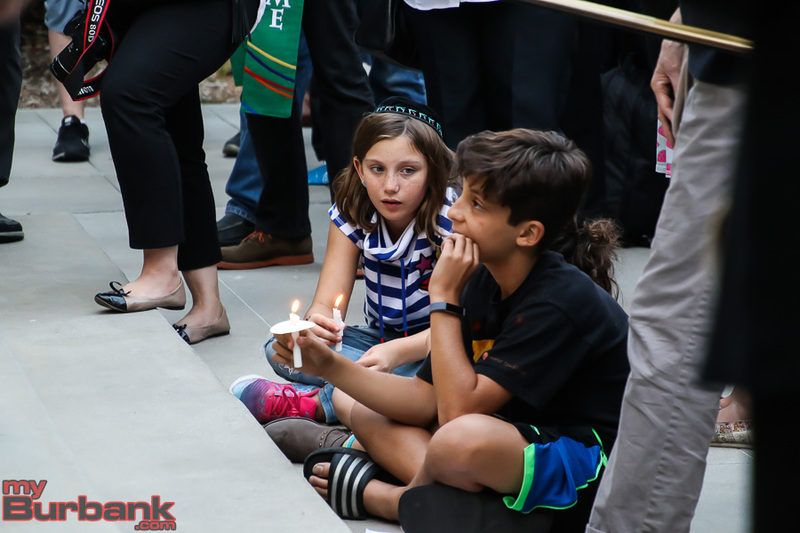 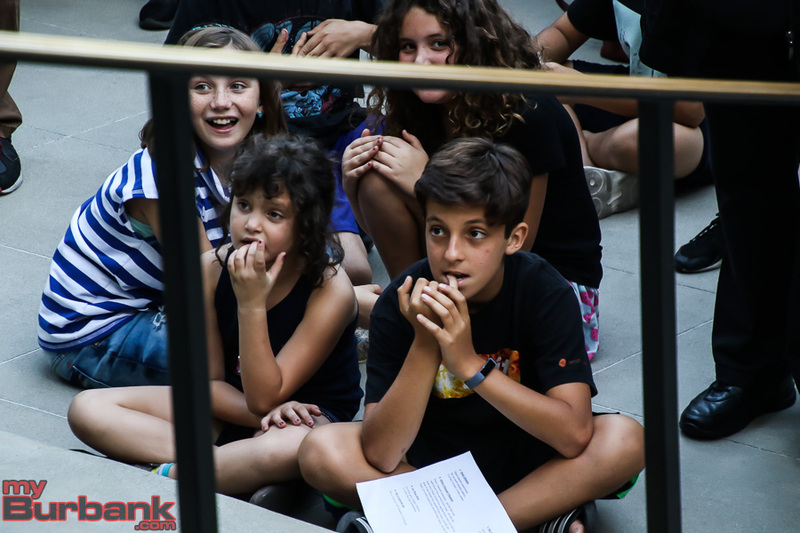 Hebrew school students from the fifth and sixth grade and their family members from Burbank Temple Emanu El walked to the vigil from the Temple located at Bethany and Glenoaks. 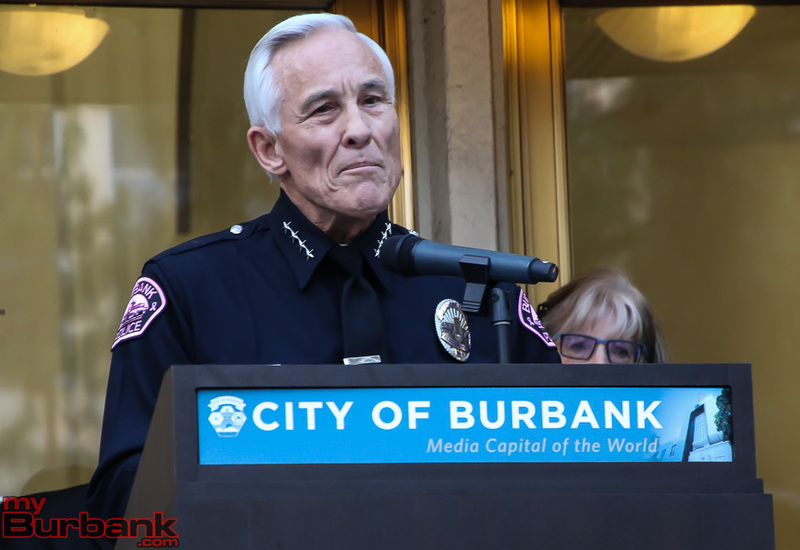 Burbank Police Chief Scott LaChasse recounted the Pittsburgh police officers actions on the scene of the Tree of Life mass shooting on Saturday, October 27. 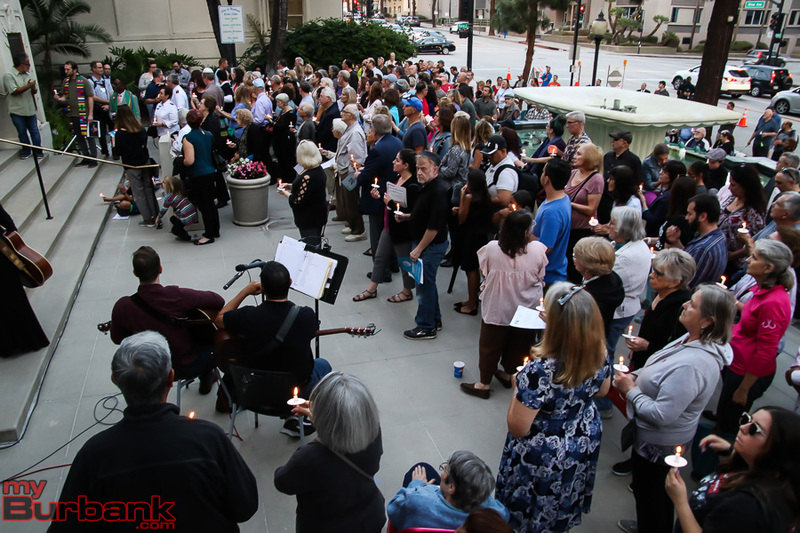 Burbank Police Chaplain Father Jose Poch of Saint David’s Episcopal Church led the gathering with The St. Francis of Assisi Prayer of Peace. 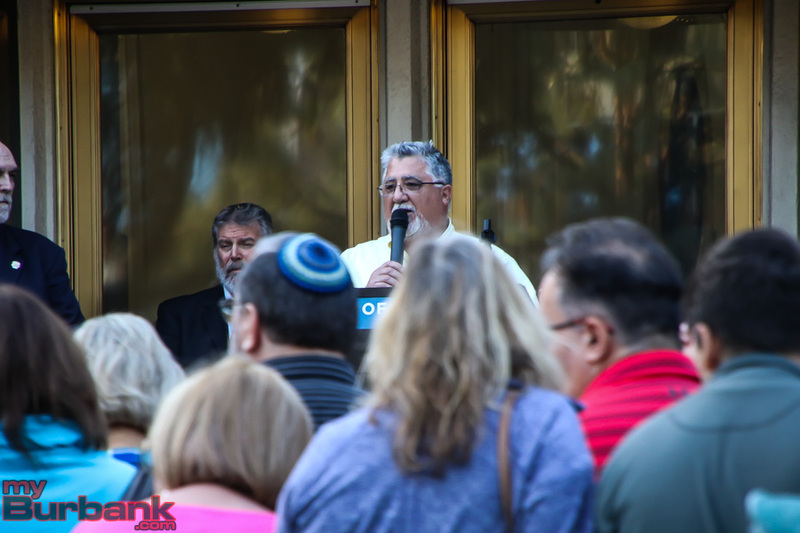 The Reverend Paul Claireville, who is President of the Burbank Ministers Association, spoke as well and offered hope for the gathered. 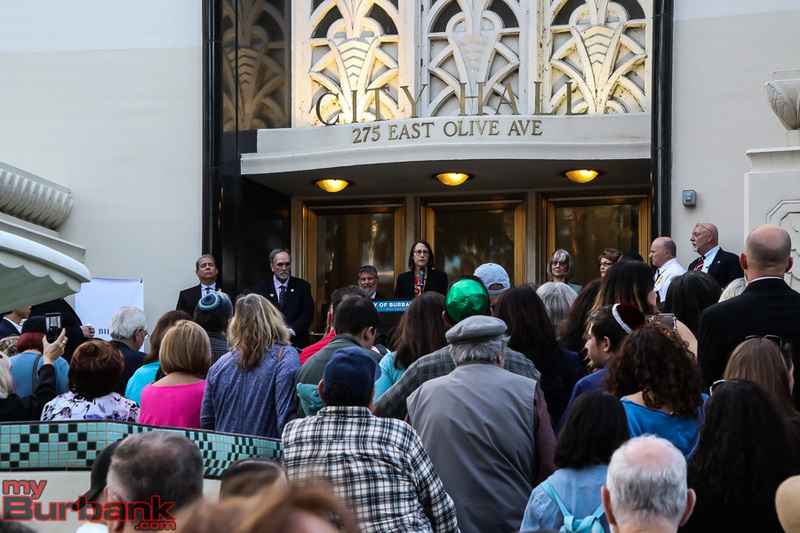 Local and State Representatives were in attendance and spoke to the crowd, including State Senator Bob Hertzberg, State Senator Anthony Portantino and Assemblymember Laura Friedman. 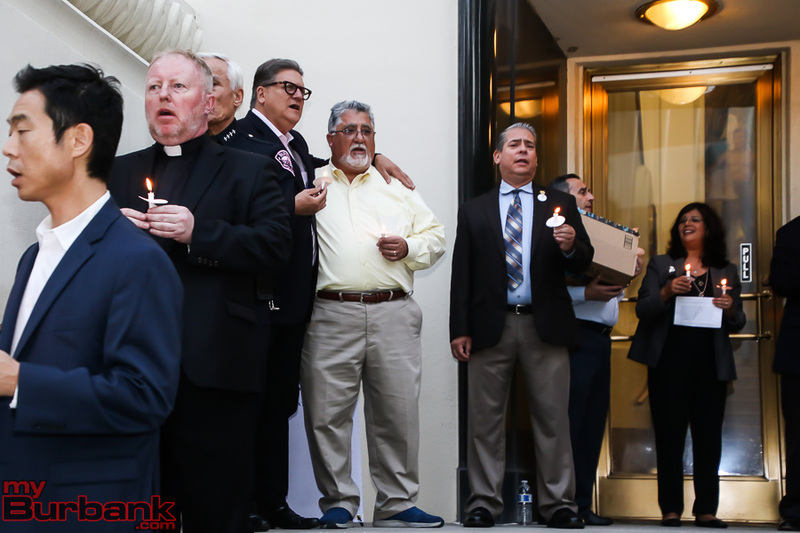 The event closed with the singing of “God Bless America” and the lighting of candles. 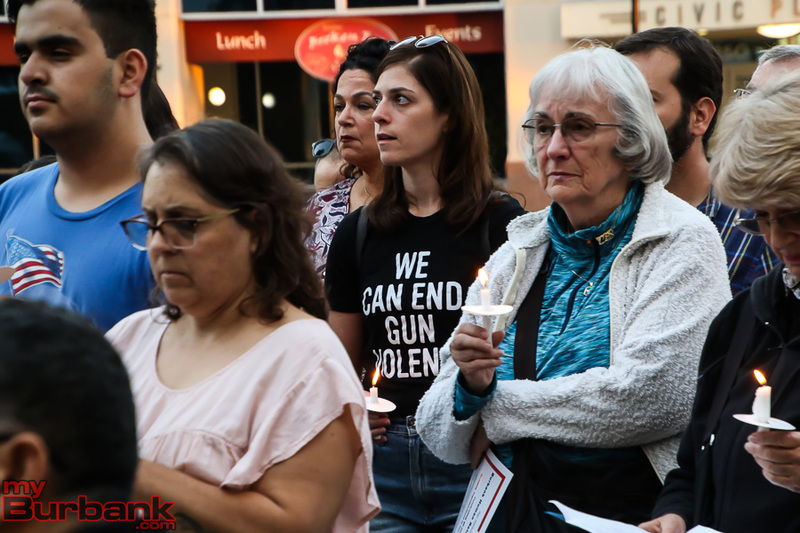 People hugged each other and talked with fellow participants. 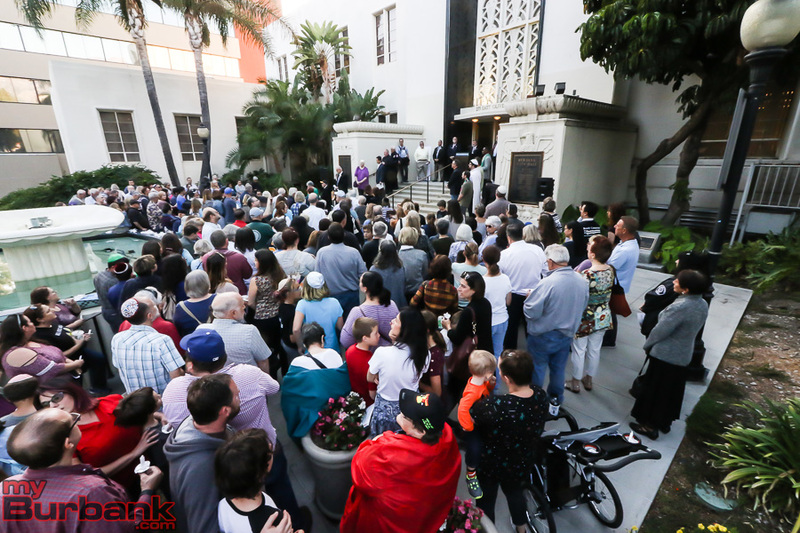 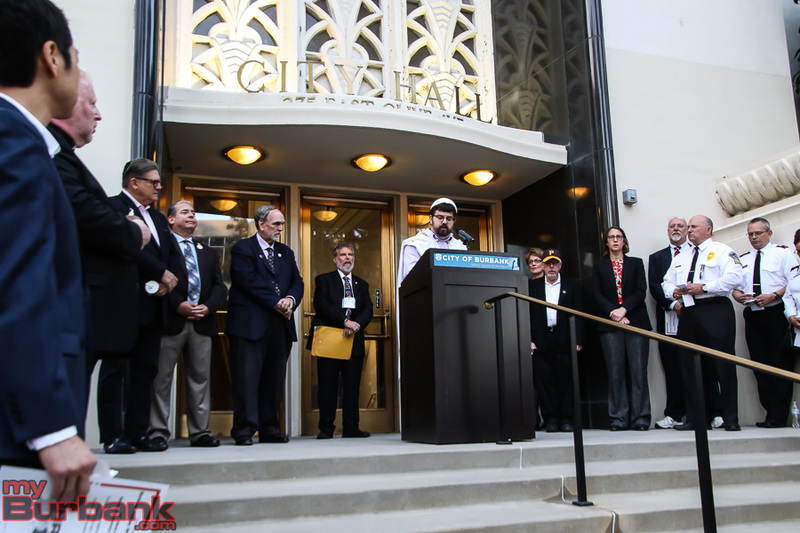 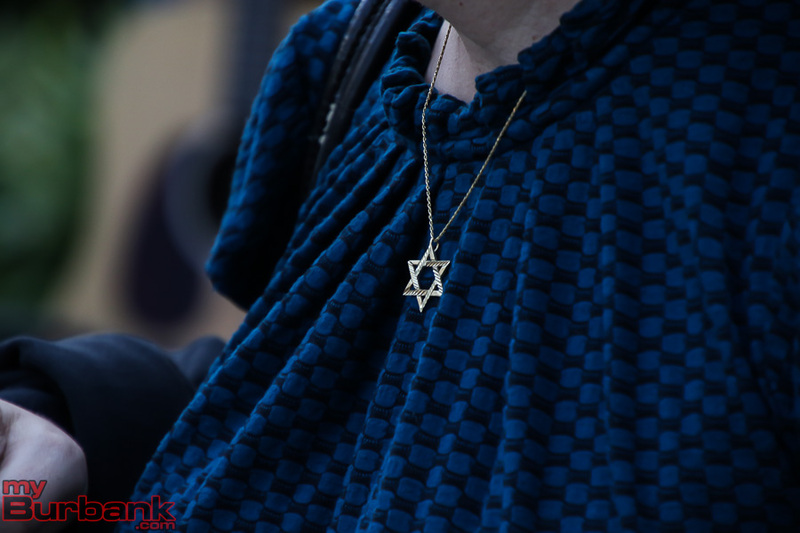 This entry was posted in City of Burbank, Events, News and tagged Burbank City Hall, pittsburgh mass shooting, pittsburgh massacre, Prayer Vigil, tree of life on October 31, 2018 by Staff.